Products that work are amazing, though most of the products that work often break our piggy banks and make our wallets cry. Wouldn't it be amazing if we could purchase products that fit our budget that does work? Well, you can trust the Duchess of Cambridge on this one. "These days you do not expect to read good news in British or Irish morning papers. The economy in Ireland und UK is under intense pressure and everyone is trying to make ends meet. However, when Beiersdorf Ireland’s General Manager John McKeown recently opened the Irish People newspaper, a double page headline caught his eyes : KATE’S BEAUTY SECRET IS 5£ CREAM. The wife of Prince William, Kate Middleton, was spotted shopping at a Boots store just hours before dazzling at her first official engagement at the Ark Gala Dinner at Kensington Palace on June 9, 2011. The newspapers in Ireland and UK quickly picked it up and revealed that she was buying the NIVEA VISAGE Pure & Natural Day Cream for £5.10. The journalist quoted a friend of Kate: ”Kate is not someone who believes in spending a lot of money automatically guarantees quality. She has never been afraid of a bargain. 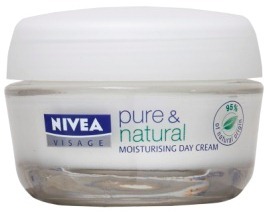 NIVEA VISAGE Day Cream is now a real favourite with her. She’s been buying it for some time.” Swift, Nina. “Duchess Radiant After trip to Boots”, The People, June 12, 2011. And not just her. According to Ralph Gusko, General Manager of the Beiersdorf UK/Ireland Group, sales of NIVEA VISAGE Pure & Natural jumped up by 85% at Boots after release of the news. Attaching photo for reference. Picture is not mine. Now we know why Kate was applauded by her commentators during the ARK Gala charity dinner where she looked radiant and glamorous. 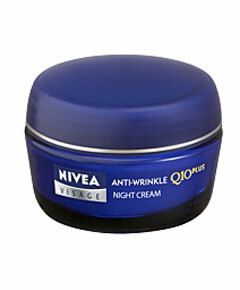 http://www.marieclaire.co.uk/news/beauty/528843/kate-middleton-s-5-beauty-secret-revealed.html One product she loves, NIVEA Q10+ Anti-wrinkle Night Care contains skin’s own coenzyme Q10. It provides long-lasting energy supply to support skin and thus reducing and preventing wrinkles from within. That makes it a natural choice to fight signs of skin aging." Now, I am pretty curious about these products that the Duchess of Cambridge uses. I mean it ought to be good if she uses it, right? Plus, Nivea's products are locally available and affordable. I am a year older than her (though it may not seem like it, but hey, it's the truth haha!) so I think I should start using anti wrinkle products too. Truth be told, no one is getting younger though most of us tend to regress in other ways. The only sad thing is our skin does not lie and wrinkles and fine lines start to form. And yes, I have a forehead full of wrinkles. I am trying to save the rest of my face from turning into a striking image of a pruned plum so I am open to try out products that work. Related article from marieclaire UK. *Unless otherwise stated, everything seen on this blog was purchased with my own money. 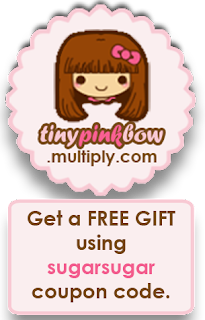 I am not affiliated nor compensated to review/promote any kind of product. Please do take into consideration that what does wonders for me might not work for you. However, I will always try to give my honest and unbiased opinions about the products/items seen here.
! **♥♣♠♦ aMz Blog ♦♠♣♥ **! Morning Surprise : "Incanto" in my house!